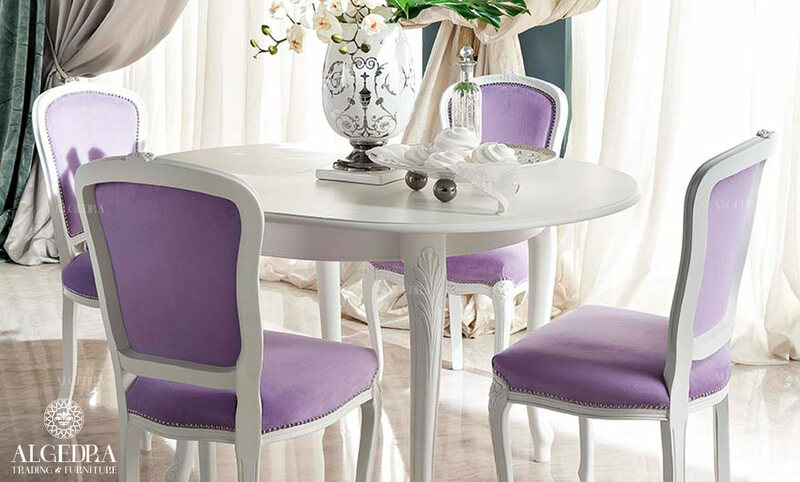 The dining room is the place where family and friends gather to eat different meals, so its furniture and colors must be comfortable to open the appetite, it is preferable for the dining room to be simple with no exaggeration, the modern style is the best for the dining room it is comfortable, luxurious and affordable. 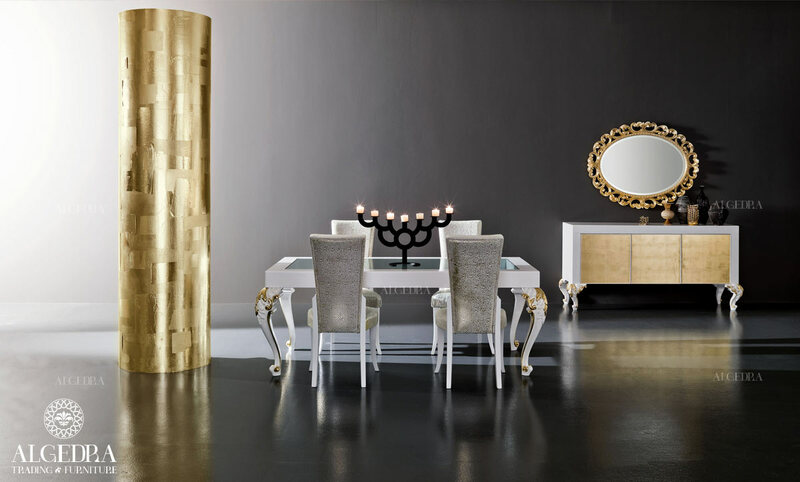 The following are some ideas from ALGEDRA to help you achieve a modern dining room. The modern style It means simplicity, clarity and flow, so to get a modern style use modern light wood or white for furniture. You can use a table with chairs made of leather, they are easy to clean you can also use upholstered cloth, most modern homes are small and have small room space so you can use a table that can accommodate up to 6 people only. A small or medium-sized rooms use circular table it can accommodate a larger number of guests, and it makes it easier to communicate and also provide a space for freedom of movement, so it is an excellent option in these cases. When the dining room is a small corner in the kitchen, it can be used as a Majlis along the wall with beautiful colors or a table can be placed along the wall so only three of its edges are available for use, and this is considered the best solution for small corners in the kitchen. As for lighting You can follow one of two ways, either to be hidden in the ceiling or wall, or a modern chandelier fixed above the table, and close to it. You can mix the color gray and white and another bold color like red, for instance, it gives the room a modern elegant and luxurious look. You can also decorate the dining table with candles and candlesticks, it can also be decorated with natural flowers, and plants.